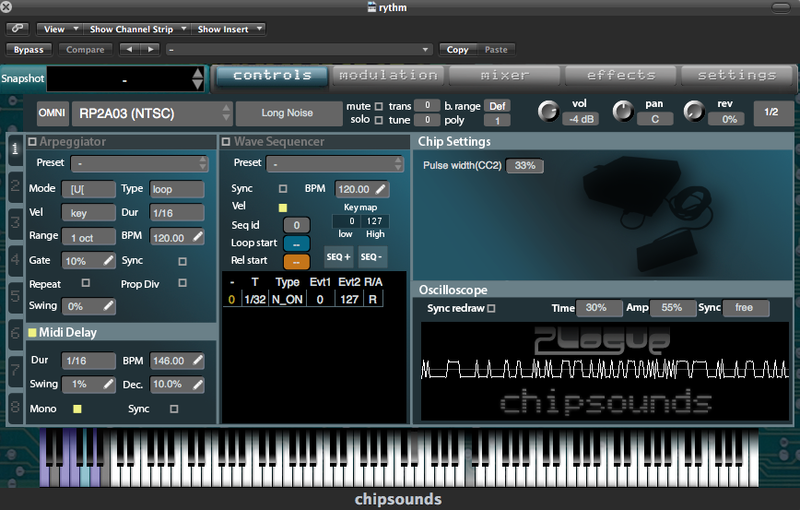 Plogue Chipsounds is one of the most comprehensive and powerful sound modules for creating classic game console chip sounds. However, if it’s interface might not be the most obvious and intuitive when you first start to use it. Why would you want to use an Audio Unit/VST instead of the actual hardware or a tracker? Well, for adding some quick chip sounds to an existing song or remixing a classic song, it’s super useful to have everything happening in MIDI. You can speed things up, transpose them and make changes without having to spend time outside of your main DAWS. Whenever I want some Nintendo triangle bass, I go straight to chipsounds! The Quick man track is one of the most amazing classic NES songs ever. It’s just buzzing with electrical goodness and really makes the intense Quickman level even more amazing. In just a few minutes, you can create a pretty accurate sound in Chipsounds. I have to say that I really love the respect that the author of Chipsounds has for the classic chips. Chipsounds conforms to what the chip its emulating could actually do and won’t let you play ten notes on the NES chip. This helps keep things accurate. The tool is definitely worth the cost and I’ll be covering some of the other features in later tutorials. I also love their statement about “preserving endangered chip species”; there are some amazing sounding chips from obscure systems which create some amazing classic sounds. Definitely worth looking into to expand your sound repertoire. In the tutorial, I use some DMC samples from the original Nintendo which you can download here. Thanks to 8bitpeoples and Null Sleep for the DMC samples.